The Nigerian National Petroleum Corporation (NNPC) has not made a profit on its operations in the last few years. This is according to NNPCâ€™s monthly operational reports. Month after month, the national oil company and sole manager of Nigeriaâ€™s oil and gas resources has churned out figures of losses from its operations. The 30th edition of the monthly report revealed that NNPC recorded a trading deficit of N83.99 billion between January 2017 and January 2018. It showed that in January 2017, NNPC made a loss of N14.25 billion from its operations; in February – N14.12 billion; March – N5.62 billion; April – N5.27 billion; May – N3.55 billion; and N5.19 billion in June. 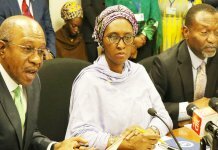 The corporation continued to operate without profit in July, when it had a deficit of N11.87 billion; N5.74 billion in August; N2.81 billion in September; N0.41 billion in October; N6.79 billion in November; N6.81 billion in December; and N1.56 billion in January 2018. The sustained operational losses of the corporation, which include the indirect funding of subsidy on petrol consumed in the country, have made it difficult for NNPC to fulfil its fiduciary responsibilities to the Nigerian nation. The financial pressure has led to situations where NNPC is accused by state governors of paying a meagre oil tax and failing to remit royalties to the federation account. Prompted by the poor remittances to the federation account, state governors under the aegis of the Nigeria Governorsâ€™ Forum (NGF) accused the NNPC of failing to remit oil royalties as stipulated by the extant laws guiding the oil industry. The governors had after a recent meeting with Vice President Yemi Osinbajo at the State House, Abuja, claimed that NNPC had consistently failed to remit as royalty to the federation account, between 17 and 24 per cent of the value of each barrel of crude oil produced in Nigeria. Through their chairman who is also the governor of Zamfara State, Mr. Abdulaziz Yari, the governors said NPPC had violated the Petroleum Act, which requires it to pay royalties to the Department of Petroleum Resources (DPR) and remit the remaining amount to the Federation Account. 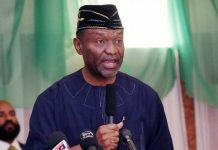 They also dismissed claims by the corporation that the volume of petrol consumed in the country had increased from about 35 million litres per dayÂ to 60 million litres per day, insisting that such excuse for poor remittance to the federation account was untenable. The NGF chairman explained, â€œWe met last week the NNPC and we came and briefed our chairman of the National Economic Council. We raised three issues â€“ one, the issue of royalties. Each and every barrel taken out of the country, there is either 17 or 24 per cent of it as royalty and there is 17 or 20 per cent as tax. 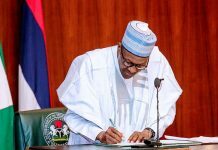 He added, â€œAt the same time, NNPC is making payment on behalf of Nigeria on cash-call contribution and also the NNPC is making payment of cash call arrears of Nigeriaâ€™s contribution. But, our main concern is that in 2015, they said about $16.8 billion, which was outstanding, was not paid by the last administration and they negotiated it down to $5.1 billion according to them. On the astronomical rise in petrol consumption, Yari stated, â€œMany of our international partners are saying that even if we are feeding Nigeria, Cameroon, Ghana and Niger, we cannot consume more than 35 million litres per day. So, we are wondering where the 60 million litres is coming from. We are trying to sort that one out, that one is not yet resolved. The complaints of the governors have once again raised the issue of transparency in the operations of NNPC. 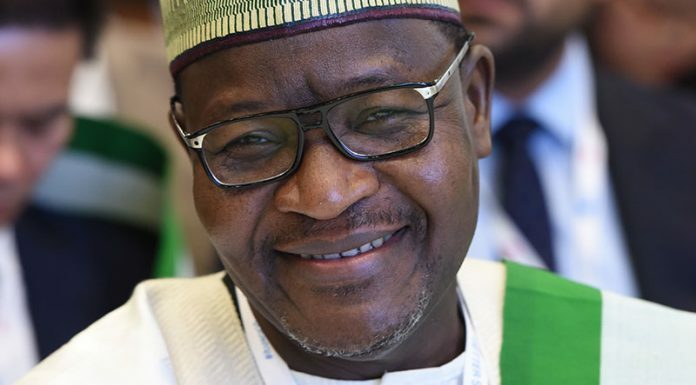 Earlier in the year, the capacity of NNPC to contribute to Nigeriaâ€™s economic development was called to question by a high-level extractive industry advocacy organisation, the Nigerian Natural Resource Charter (NNRC). NNRC told THISDAY that the level of operational secrecy in NNPC was a huge barrier to the growth of Nigeriaâ€™s economy. NNRC stated that the operational costs of the NNPC, which are deducted at source before payment into the federation account, had not been transparent. NNRCâ€™s concerns were equally contained in the various reports the Nigeria Extractive Industries Transparency Initiative (NEITI) had produced on NNPCâ€™s management of Nigeriaâ€™s oil and gas resources and revenues. At the then Lagos workshop titled â€œAssessing petroleum sector wealth: NNPCâ€™s contributions to the economy,â€ Chairman of the Expert Advisory Panel of NNRC, and a former Minister of State for Petroleum, Mr. Odein Ajumogobia, stated that when compared with other national oil companies such as Petronas of Malaysia, Sontrach of Algeria and Sonangol of Angola, the contributions of the NNPC to the economic growth of Nigeria was adversely affected by the lack of transparency in its operations. Ajumogobia stated, â€œNigeriaâ€™s economic growth and diversification in order to reduce our dependence on crude oil exports, is still however crucially dependent on the growth and efficiency of the oil and gas sector, which is to partially fund and drive the diversification. We literally have to drill our way out of our current economic predicament. An industry operator, who spoke to THISDAY anonymously, stated that NNPCâ€™s losses and remittance capacities could not be separated. He said, â€œApart from operating surplus, the other remittances that have to be paid by NNPC to the government include taxes paid to FIRS and royalties paid to DPR. Irrespective of whether it makes a loss or profit, these two payments must be made. â€œSo, to cap it off, there are three major payments â€“ taxes, royalties, and operating surplus or profit which is paid to the federation account. â€œIn an ideal world, it should pay all taxes which include Petroleum Profit Tax to FIRS who will then transmit to the federation account. But it appears what they do in reality is just to bypass FIRS and pay what they like into the federation account. â€œIt also appears to be the same thing with royalties. DPR does not receive the royalties; they pay whatever they like into the federation account. THISDAY contacted the Group General Manager, Public Affairs of the NNPC, Mr. Ndu Ughamadu, to provide some clarifications on the remittances but he did not respond to calls to his mobile phone.